Ivrea, industrial city of the 20th century has formalised its application for UNESCO heritage-listing. Ivrea, industrial city of the 20th century has formalised its application for UNESCO heritage-listing. Not just a single building, but an application for the set of buildings associated with the industrial and socio-cultural project developed by famous, Ivrea-born industrialist Adriano Olivetti. An industrial city with a human dimension, where plants and factory buildings are mixed with strictly residential buildings and social services facilities. This is the city of Ivrea, in Piedmont, northern Italy, closely tied to the name of Adriano Olivetti, whose innovative policies and help from some big names of architecture from 1930 to 1960 left a huge legacy on the urban fabric of Ivrea. It's no coincidence that the application is based on an architectural complex and not on a single “masterpiece” like so many other world heritage listings. The area to protect mainly runs along Via Jervis, which also includes the ICO (acronym for company founder Ingegnere Camillo Olivetti) workshops and the ICO offices. 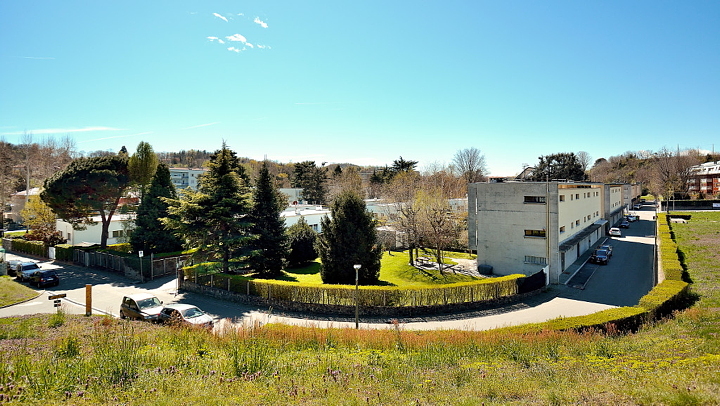 Not to mention the iconic residential building integrated into the hillside and going by the suggestive name of “Talponia” or the management accommodation; a true gem for lovers of modernism, as we can see from the images taken by architecture photographer Gianluca Giordano that were submitted along with the application. A National Committee backed by the Fondazione Adriano Olivetti in collaboration with the Municipality of Ivrea and the Polytechnic of Milan was set up in 2008 to promote the application by Ivrea, industrial city of the 20th century. Since then, with the official registration of the application, the Committee has consolidated its reflection on the theme of maximising the modern architectural heritage of Ivrea. A hot topic on the international scene too, as we can see from the many initiatives aiming to preserve modernist-style industrial and residential architecture, all too often abandoned and uncared for due to lack of interest in - or knowledge of - the historical period, but more often than not for economic reasons. Livegreenblog and Floornature will be keeping a close eye on Ivrea in the upcoming months, in the hope that UNESCO agrees to list this Piedmont town as a testimony for “the realisation of an alternative model of an industrial city based on a social and production system inspired by the community and an alternative to the system proposed by 20th century industrial development”.